Treatment of patients with a chronic subdural hematoma (HSCH) has lately been increasingly common. Due to the mechanism of formation, it is usually found in the elderly population. Patients aged over 70 years are usually subjected to the treatment. HSCH is usually caused by mild or repeated head injuries. They are more common among elderly people who constantly fall and hit their head. According to their morphological characteristics, HSCH falls into secondary incurred injuries of focal character, and with other intracranial hematoma belong to injuries that generally require surgery treatment . The higher rate of occurrence of this condition in the elderly may be because the brain becomes smaller as people age. This causes an extra space in the skull, allowing the veins to be more easily damaged during head injury . HSCH belongs to the group of extra-axial craniocerebral injuries that represents an organized collection between the dura and arachnoidea and is a result of breaking the bridge veins under the effect of the force on the skull, which is over time subject to liquefaction and increases its volume . It encapsulates and grows further due to the transfer of cerebrospinal fluid through the capsule into the hematoma. It grows for weeks and months acting as a tumor. It puts pressure on the brain tissue and gives corresponding symptoms and signs. In the clinical picture, a patient faces a headache, somnolence, confusion, incoherent thinking, bradypsychia, apathy, epileptic seizures, hemiparesis on the opposite side of the formation of the hematoma, or in the later stage deep consciousness disturbance and the occurrence of Hutchinson's papillary on the side of the hematoma. 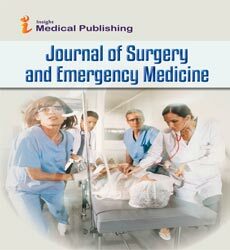 The highest frequency of the appearance of the hematoma by Sambasivan  is between V and VII decade of life, while Joao Louis claims that these are persons aged 70 to 79 . However, in recent years, an increase in the number of people with HSCH of younger age group has been recorded . By the analysis of patients treated at the NHK in Nis in the period from January 2010 to December 2015, we have found that a good number of patients, of both younger and older age, was on the anticoagulant therapy applied either for prophylactic or therapeutic purposes. Increased unwanted blood clotting is a characteristic of thromboses and embolism . In a word, such conditions are called thromboembolic conditions. Emboli are in 80-90% of cardiac origin. Most often these are heart failures, myocardial infarction, primary cardiomyopathy, built-in artificial valve replacement, heart and arterial aneurysm. Embolismsare common in heart arhythm disorders, especially in atrial fibrillation. Thromboses occur due to the increase of the atheromatous plaque and related thrombus and are more common in dehydration, hypotension, infectious diseases, cancer, dysproteinemia, disseminated intravascular coagulation and other pathological conditions. As we ourselves are witnesses that lately the rate of cardiovascular diseases has increased, it is also the cause of a more frequent application of anticoagulants, both for prevention and therapy. The test was performed at the Department of Neurosurgery in Nis in the period from January 2010 to December 2015, where 349 HSCH patients were operated on. During the tests, the focus was on searching the causes of the increasing number of HSCH patients in both elderly and much more significantly in the younger population. 1. The application of anticoagulants as protectors (Aspirin, Cardiopirin, Plavix), preferred sporadic laboratory control. 2. The application of old anticoagulants (Farin, vitamin K, Sintrom), mandatory laboratory control. 3. New anticoagulants (act selectively either on thrombin or coagulation factor Xa), do not require laboratory control. From a total of 349 operated patients, 89 of them (25.50%) were the on anticoagulant therapy, applied both for therapeutic and preventive purposes (Table 1). Table 1: Total number of operated patients from HSCH. Patients aged 71-80 years were most often treated and accounted for 27.79% (Table 2). Table 2: Age of patients operated on HSCH. The lowest percentage of patients, 2.24% of them, used anticoagulant medicines of the new generation, while as many as 76.40% of patients were on anticoagulants of the old generation 21.34% used anticoagulants as a prophylactic measure (Table 3). Table 3: Type applied AkTh. In 64.04% of the cases, the patients who were on the anticoagulant therapy had INR values within normal limits, while 35.95% of them had the value of INR of over 3 (Table 4). Table 4: Values of INR at the reception. In 43.82% of cases, surgery was performed within 24 hours. The same percentage of patients was treated with between 24 and 48 hours of the receipt, while 12.35% of the patients were delayed for even more than 48 h for receiving the correction treatment, plasma and washed platelets, and the normalization of the INR values (Table 5). Complete recovery occurred at 71.91% of the patients, while at 21.34% death occurred, in the patients who were on the older generation anticoagulant therapy (Table 6). Table 6: The outcome of patients. In the group with the protecting therapy, all 18 patients (100%) had a complete recovery and the frequency of this outcome was in this group statistically significantly higher than in the group with the anticoagulant therapy of the old generation where at 44 (64%) of the patients full recovery was recorded (Fisher’s exact test: p=0.001). Death outcome in the group with the old generation anticoagulant therapy occurred at 19 (21.34%) patients, which is a statistically significantly higher incidence than in the group with the protective therapy, wherein death has not occurred in any of 18 cases (Fisher’s exact test: p=0.009). In 21.34% we were forced to repeat the surgery (Table 7), and these were also patients who were treated with the old generation anticoagulants. An increase in the number patients with HSCH is observed both in our country and the world. The extension of life age is one of the factors for the increase of this disease, as well as the application and the possibility of the adequate diagnosis and treatment of people in urban areas, which also led to an increase in the number of these patients. The worrying fact is the increase in the number of HSCH patients of younger age, as well as the increasing number of HSCH patients who underwent surgery and who are on the anticoagulation therapy. Unfortunately, there is an increasing number of patients with cardiovascular diseases in which the application of the anticoagulant therapy is inevitable . In our analysis of the HSCH-operated patients, we have found that 25.50% were on the anticoagulation therapy, whereby other studies have also shown a significant number of patients who are on the anticoagulation therapy [9,10]. It is observed that the application of the older generation anticoagulation therapy is much more frequent in our study whereby we concluded that as much as 76.40% of patients were treated with the old generation anticoagulants. These medicines require continuous laboratory monitoring (INR) and the adequate dosage . Often due to negligence, but also because of the impossibility of control, patients overdose themselves with these medicines as shown in our research, whereby it was observed that in 35.95% of the patients treated with the old generation anticoagulants INR was over 3. This INR value prevents urgent surgical intervention which can be a problem if it is a hematoma that by its size greatly compresses the brain mass, leading to incarceration and death outcome. In our study, the surgery was postponed with 56.17% of patients. With most of the patients operated on for HSCH, i.e. in 71.91% of the cases, there was complete recovery observed. Death outcome in the group with the older generation anticoagulant therapy occurred in 19 (21.34%) patients, which is a statistically significantly higher incidence than in the group with the protective therapy and the new generation anticoagulant therapy, where death outcome has not occurred in any of the 18 cases (Fisher’s exact test: p=0.009). The new oral anticoagulants act selectively on thrombin (ximelagatran, dabigatraneteksilat) or coagulation factor Xa (rivaroxaban, apixaban, edoxaban). Unlike conventional anticoagulants, vitamin K antagonists, they have a rapid onset of effect and a relatively wide therapeutic spectrum, do not require laboratory control of the prothrombin time (PT), and rarely interact with food and medicines. New parenteral anticoagulants achieve their anticoagulant effect by an indirect (semuloparin, idrabiotaparinux) or direct inhibition of Xa factor (Otamixaban), as well as by the inhibition of coagulation factor IXa (RB006). The main features of these medicines have a rapid onset of effect and a predictable anticoagulation effect, but with most of them, it is possible to achieve a rapid neutralization by an adequate antidote . With 19 patients the surgery was repeated due to recurrence of hematoma and these were also patients on the old generation anticoagulants therapy. Thrombin and FXa are effective in a wide range of concentration in the plasma, which enables a higher degree of safety during the inhibition thereof and a lower the risk of overdose, and is therefore recommended to use the new generation anticoagulants . A wide application of anticoagulant therapy, both in protective as well as therapeutic purposes, leads to a frequent occurrence of HSCH. The inordinate or irregular taking of anticoagulant therapy, in other words, the overdose with the old generation anticoagulants, leads to a frequent occurrence of uncontrolled bleeding. Difficult control of INR, when using the older generation anticoagulants, whether due to the negligence or inability of patients, leads to an increase in the occurrence of HSCH. The application of the new generation anticoagulant therapy is preferred because it does not require frequent laboratory analyses, i.e. INR monitoring. Unfortunately, the financial situations of our patients do not allow the implementation of the new generation anticoagulation therapy. Nagulic I (1975) Subduralni Hronicni Hematom. Neurohirurgija.ed Medicinski fakultet Beograd 76-79. Adhiyaman V, Ashar M, Geneshram KN (2002) Chronic Subdural Haematoma in the Eldely. Postgrad Med Jurnal 78:71-75. Haruhide I, Shinjoro Y, Toshio K, Hidetaka M (1976) Role ofLocal Fibrinolisis in the Ethiology of Chronic Subdural Haematoma. Journal of Neurosurgery 45:26-31. Sambasivan M (1997) An Overview of Chronic Subdural Haematoma: Expiriance with 2300 cases. Surgical Neurologu47: 418-422. Joao-Luiz VA, Vinicisu RF, Luciano H, Jose-Carlos EV, Jamil FN (2015) Chronic Subdural Haematoma: Epidemiological and Prognosis Analysis of 176 Cases. Rev ColB ras42-45. Liliang PS, Tsai YD, Liang CL, Chen HJ (2002) Chronic Subdural Haematoma in Young and Extremly aged Adults: Comperative Study of two Age Groups. Injury 4:345-348. Jenkins PV, Rawley O, Smith O (2013) Elevated factor viii levels and risk of venous thrombosis. British Journal of Haematologu 6:653-656. Gallagher AM, Setakis E, Plumb JM (2011) Risks of Stroke and Mortality Associated with Suboptimal Anticoagulation in Atrialfibrillation Patients. Thromb Haemost 106:968-977. Hart RG, Pearce LA, Aguilar MI (2007) Meta-Analysis: Antithrombotic Therapy to Prevent Stroke in Patients who have Non Valvularatrial Fibrillation.Ann Intern Med 146:857-867. Wan Y, Heneghan C, Perera R (2008) Anticoagulation Control and Prediction of Adverse Events in Patients with Atrial Fibrillation. A systematic reviewCirc Cardiovasc Qual Outcomes 1: 84-91. Higashi MK,Veenstra DL, Kondo ML, Ann K (2002)Association between Cyp2c9 Geneticvariants and Anticoagulation-Related Outcomes during Warfarin Therapy. JAMA 3:1690-1698. Turpie A (2007) Oral, Direct Factor X: A Inhibitors in the Development for the Prevention and Treatment of Thromboembolic Diseases. Arterioscler ThrombVascBiol 27:1238-1247. Obrenovic-Kiricanski B, Subotic S (2006). Surgery for Patients with Mechanical Heart Valves: Adjustment and Tailoring of Anticoagulant Therapy.Acta Chirurgica Iugoslavica 3: 23-27.